Your driveway and sidewalk are one of the most important parts of your home and business, They are used daily and should remain in safe, stable, and attractive condition. 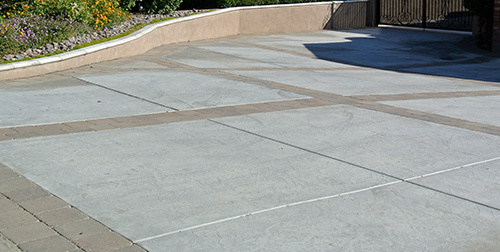 At Outdoor Pros, we specialize in concrete driveway replacement, add on, and repair. We also install new driveways for homeowners, and contractors alike. Other concrete services include stamped and colored concrete, as well as, custom interlocking paver inlays to new and existing driveways. We also have poured concrete products that allow for vehicle traffic in as little as three days after installation. Our Company is bonded, and can attain permitting when required, with all local cities and towns to replace driveway aprons along with curb and gutter work. We offer Driveway Repair aleigh NC. If you are tired of your cracked and broken concrete, contact the concrete pros at Outdoor Pros today!